Is your home cold during the winter months? Let us come and see with a free evaluation! Do it once and do it right with a whole-house approach! At Dr. Energy Saver of Connecticut our goal is simple! We provide a broad range of insulation and air sealing packages that are customized to meet your specific needs and budget. We're proud to be your fully trained and trusted home energy specialist in Connecticut, providing our professional home energy services to improve the condition of your home. When it comes to making a house more comfortable, there is no one-size-fits-all solution. This isn't just rolling insulation into your attic. This is a whole-house approach to making your home more comfortable and energy efficient. Whether helping your air-conditioning system keep up with the heat in the summer, or making cold floors or drafty rooms warmer in the winter, we can solve it! When we visit your home for our free energy evaluation, we will explore the reason you had us come out and find the right solution for you. Our knowledge about how home systems work together - from basement or crawlspace to attic - help us create a solution exactly for your situation. In fact, we follow the Book of Solutions that the home energy pros at the Dr. Energy Saver headquarters created - they built an entire house in their energy conservation facility for testing and training! You can watch our videos about best attic insulation, air and duct sealing, crawl spaces, insulating basements and more to see our vast knowledge. We offer our services throughout Westchester County, NY and Connecticut, including Stamford, Greenwich, Norwalk, Danbury, New Haven, Westport, Darien, New Canaan, West Hartford, Ridgefield, Hamden, and more. "We were happy with the quality of the work and the..."
"Anthony Martingano did a first class job explaining what he..."
"I want to give a special shout out to Ken, the foreman of..."
Our commitment to providing improved home comfort and overall health for each and every customer we serve. 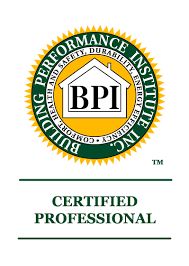 We've built a strong reputation in Connecticut for being the best home improvement company and we always strive to be better than the rest. 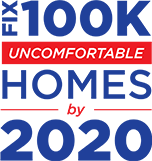 Many of our customers still call us when they have a question regarding their home's comfort and we continue to provide support. We are located right in our customers' backyards! Besides being the parent company of a reputable network of home energy experts in 18 states, our 40,000 square foot national headquarters is located right here in Connecticut! We have the largest home energy conservation center in the country and frequently encourage our clients to visit our campus to learn more about the work we do here at Dr. Energy Saver. 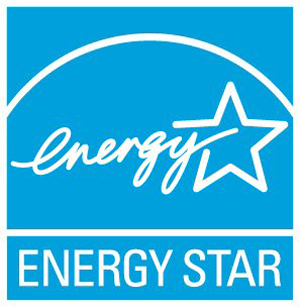 Contact our company today for a home energy evaluation in Connecticut. Our licensed home energy conservation contractors provide services in Greater Westchester County, Hartford, New Haven, Greenwich, Norwalk, Danbury, Stamford, and nearby!